"The Key to All Things Galway"
Galway is one of the most colourful and exciting cities that Ireland has to offer. With a festival around every corner you are sure to be entertained throughout your trip. Located on the Wild Atlantic Way, Galway had breathtaking scenery and is steeped in local history. Entering Connemara on the Lough Nafooey route allows you to see the stark beauty of the hidden valleys of Connemara. Killary Fiord and the village of Leenane make for a beautiful photostop. Kylemore Abbey and Victorian Walled Garden Originally built as a Castle in 1867 as a romantic gift, Kylemore Abbey and the surrounding mountains and lakes are steeped in history. Learn of tales of tragedy, romance, engineering initiatives and royal visits. It became home to a community of Benedictine Nuns in 1920 and has been renowned as a place of spirituality and education. The Aran Islands are 3 rocky isles guarding the mouth of Galway Bay, in western Ireland. They’re known for their ancient sites. The largest island, Inishmore, is home to the prehistoric fort of Dún Aonghasa, perched on top of a high cliff. Nearby is the Worm Hole, a rectangular natural pool. The medieval ruins of the Seven Churches are in the northwest. Clochán na Carraige is a stone structure with a beehive roof. Enjoy the relaxed atmosphere of a cruise with us onboard the luxurious all-weather 157 passenger boat, the Corrib Princess. The Corrib Princess sails from Woodquay in the heart of Galway city. The journey takes passengers along the majestic River Corrib and onto Lough Corrib, the Republic of Ireland's largest lake, providing visitors with unsurpassed views and natural amenities that make this the most spectacular waterway in Ireland. 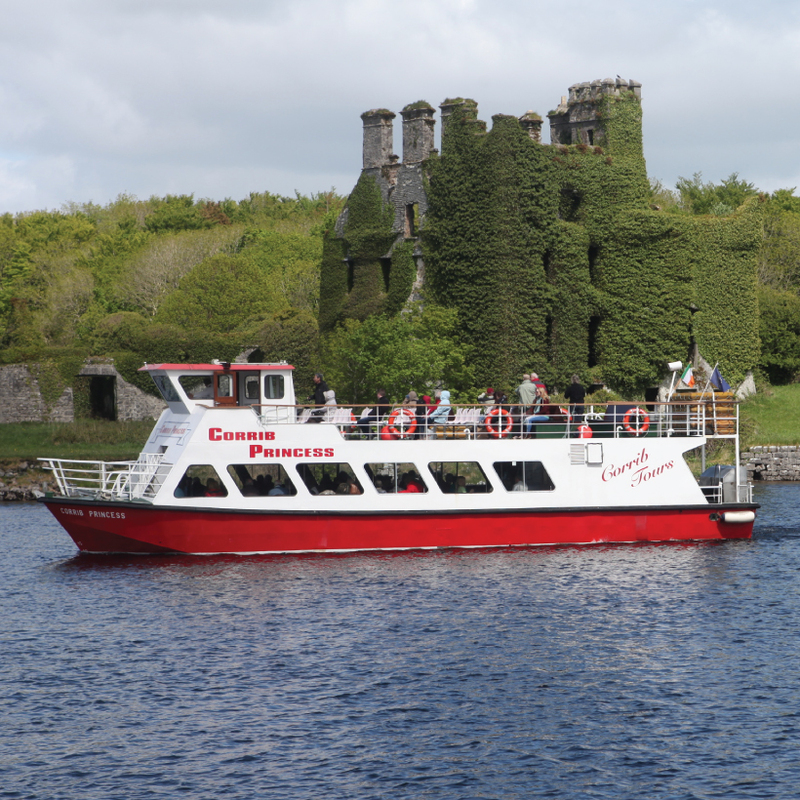 The Corrib Princess takes you past castles and various sites of both historical and cultural interest. You can enjoy this natural wonderland either as a member of a group, with your family and friends or simply by yourself. Walking Tours are a great way to see the city. Experience the old and new of our vibrant home from the green grass of Eyre Square, the old stone of Lynch's Castle, to the beautiful sea front at the Claddagh, Galway is truly an enchanting and beautiful city. 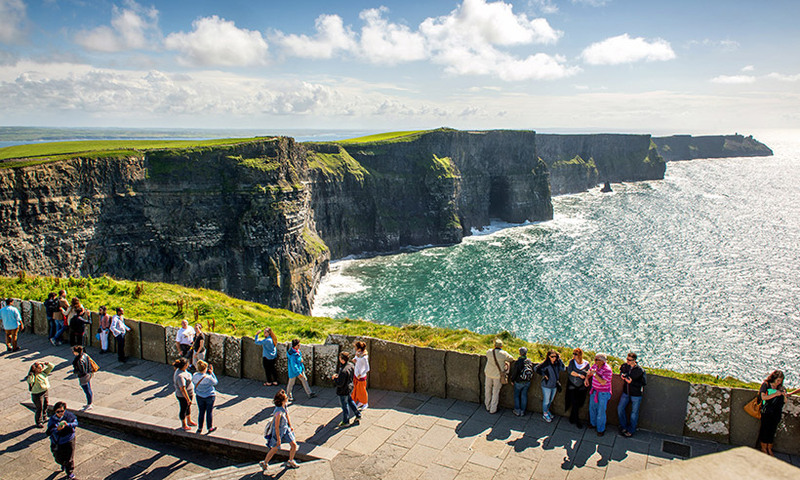 Ranked the 11th most popular free tourist attraction in Ireland. Galway City Museum has three floors of exciting exhibitions engaging visitors in the archaeology, history and sea science of Galway. The attraction is one of Galway’s most popular cultural hotspots and welcomes over 200,000 visitors per year. The Museum has been a recipient of TripAdvisor’s Certificate of Excellence for five years running and the 2016 Expert’s Choice award, ranking it among the ‘highest rated attractions in Galway’. Most recently we were awarded Full Accreditation status from the Heritage Council’s Museum Standards Programme for Ireland – meeting 34 out of 34 wide ranging museum good practice standards. Visit and be inspired!